Forty years on from the original Pound Conference – the seminal event that led to the birth of mediation – dispute resolution has reached an impasse. In Hong Kong, mediation remains under-utilised, despite being widely supported and recognised as having the potential to resolve disputes in a quick, cheap and confidential way. It has failed to flourish in Asia like arbitration, despite earlier market predictions to that effect. And it is often regarded as a “tick-box” exercise in the context of litigation. 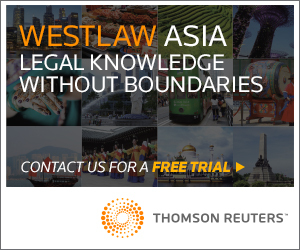 Court and arbitral claims in Hong Kong are at record highs and disputes themselves are becoming more complex, costly and time consuming. At the stakeholder level, research* suggests that there is significant disparity between what end-users – in-house counsel and business executives on the disputes front line – want and need from their advisors and providers; and what those advisors and providers think their clients need. Enter Global Pound Conference, an ambitious global conference series backed by governments, international organisations and leading multinationals, which is coming to Hong Kong on 23 February. At 40 conferences in 31 countries in 2016 and 2017, Global Pound Conference is considering how disputants select and access appropriate dispute resolution processes to best respond to their needs. This includes assessing what is proportionate in terms of costs, time, possible outcomes and enforceability, as well as impact on reputation, relationships and cultural issues. Through canvassing the views of over 5,000 stakeholders from five groups (users, advisors, adjudicative providers, non-adjudicative providers and influencers), Global Pound Conference will address how we can improve the resolution of commercial disputes in the 21st century. All dispute resolution processes are in scope: litigation, arbitration, as well as the range of alternative dispute resolution (“ADR”) processes, particularly mediation. Structured around four interactive sessions where core Global Pound Conference questions are voted upon anonymously via a smartphone app, participants express their views on a range of vital issues affecting how disputes are resolved. Results are projected and debated instantly, comparing priorities by stakeholder category. This will result in a unique set of worldwide standardised dispute resolution data collected across the span of stakeholders. The results will be collated into a report and white paper, which will be published globally in 2017. What has Global Pound Conference highlighted to date? So far, Global Pound Conference events have taken place in Singapore, Lagos, Mexico City, New York, Geneva, Toronto and Madrid. 34 more events will take place in 2017. The data and results have already provided striking information about local gaps between demand and supply of commercial dispute resolution needs and perspectives. Each event has concluded by identifying some clear local opportunities for change, and it is expected that the Hong Kong event will do the same. From the data analysed to date, disputing parties, perhaps unsurprisingly, prioritise efficiency when selecting dispute resolution processes. Advisors, however, think that clients want advice first and foremost. When lawyers are advising clients, the choice of process is primarily driven by the outcomes desired or the familiarity with the process; costs are relatively unimportant. Lawyers think that parties want them to advocate. Parties say that they want lawyers to collaborate. Lawyers think that the outcomes should be driven by the rule of law. Parties and non-adjudicative providers such as mediators think it’s all about collaboration. Parties think that prevention is the most effective commercial dispute resolution process. 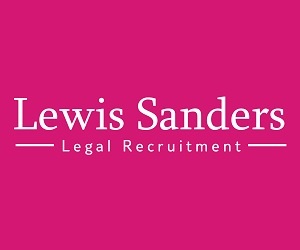 The keys areas flagged for immediate improvement are technology – litigation/arbitration dispute management tools and online dispute resolution (“ODR”) spring to mind here. Enforcement is the other key area identified for reform. The UNICITRAL Working Party’s proposal for a New York style-convention on the enforcement of mediated settlements is a priority in this regard. Ultimately, enforceable decisions and a greater emphasis on collaborative instead of adversarial processes are emerging as the most important factors for the future of commercial dispute resolution. Always a barometer for Hong Kong, the inaugural Global Pound Conference event took place in Singapore in March 2016. Over 400 people from 25 countries participated. Interestingly, despite the range of nationalities involved, little difference between local and foreign participant results were observed. As with subsequent Global Pound Conference events, there were clear gaps between stakeholder groups; in particular, needs on the supply (advisor/provider) side and demand (user) side were not aligned. The greatest gaps were observed between users (clients) and advisors (lawyers). Differences of opinion were smaller between advisors and adjudicators (judges, arbitrators and mediators). The courts and arbitral institutions continue to play a vital role in the development of dispute management and resolution. End users want them to promote efficient case management and, wherever possible, ADR. Parties had a preference for hybrid dispute resolution processes (mediation combined with arbitration or litigation), something that is evolving but remains relatively ‘green’. Singapore’s arb-med-arb procedure is an obvious example of the development of the hybrid process (primarily to promote the enforceability of mediated settlements as arbitral consent awards). Technology was judged to be another important factor, particularly in the delivery of dispute management processes. The conference highlighted the growing popularity of ODR, which is being deployed in increasingly complex, multi-party disputes. Finally, lawyers play a critical role in educating their clients (and themselves) about how best to deploy less frequently used processes such as mediation. In-house counsel often regard ADR as a strategic imperative, but this is sometimes at odds with the approach of external lawyers, who may see mileage in a longer dispute. 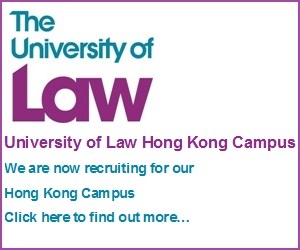 Hong Kong Event – What’s Likely to be Debated? With the backing of leading corporates, institutions and the Department of Justice, the one-day Global Pound Conference at the Hong Kong Convention and Exhibition Centre will take place on 23 February 2017. It includes a keynote address from Secretary for Justice Rimsky Yuen SC, a closing address from Chief Justice Geoffrey Ma and Solicitor General Wesley Wong SC will appear, to debate what needs to change to improve dispute resolution in Hong Kong. General counsel, regional heads and senior executives from leading corporates will also appear as panellists to share their views, alongside leading international judges, arbitrators, mediators, lawyers, funders, technology experts, professional advisors and academics. Regarding litigation, there is a strong view among litigators that the court docket is too long and case management must be further improved to meet the expectations of the Civil Justice Reform 2009 (“CJR”). In particular, cases should be brought to trial more quickly, meaning cases must be set down for trial earlier. Currently, trial dates tend to be set very late in the cycle, meaning that some cases continue to run for significant periods awaiting trial, with little substantive work remaining to be done. Similarly, there is a clear view that more judges are needed to help deal with the backlog of cases and speed up the litigation process. The issue is being partly dealt with by retired judges returning for short term appointments and the drive to encourage barristers and solicitors to sit as judges on a short-term basis. These are stop-gaps, however, which do not fully deal with the paucity of judges available to hear cases. Arbitration in Hong Kong is poised for reform in 2017 by way of allowing for third party funding, which would open up the process to a wider market. This is to be applauded. However, this does not necessarily address the fact that something that was intended to be a simple, cheap and private alternative to litigation is now arguably more complex and costly. Even enforcement – often cited as the clear benefit to arbitration thanks to the New York Convention – faces increasing challenges. Long, costly and public set aside and enforcement actions in Hong Kong have become relatively common and a better mechanism may need to be developed to resolve this. Mediation has existed in Hong Kong since the mid-1980s, where it was trialled and later standardised in certain public sector construction contracts. By 2009, 21 mediation service providers existed in Hong Kong. 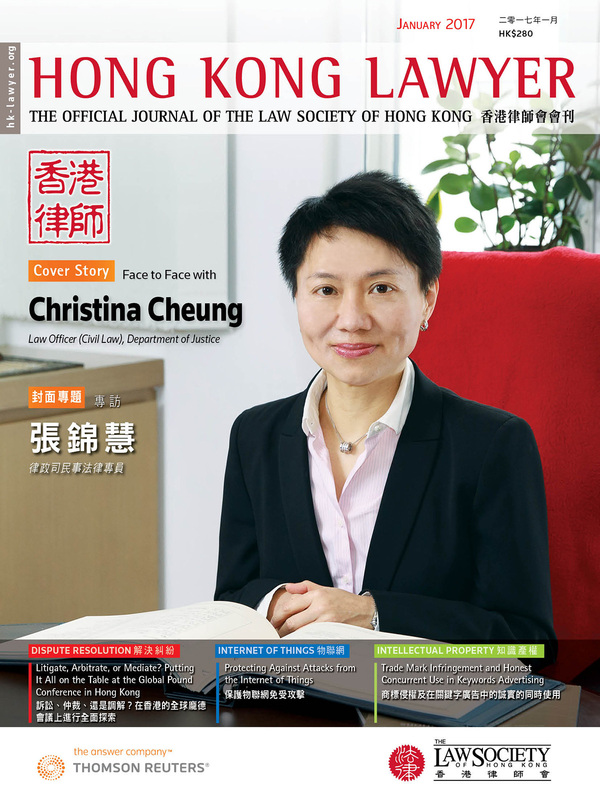 The CJR catapulted mediation to the main stage by effectively introducing a mediation step to cases litigated in Hong Kong. There are now over 2,000 accredited mediators in Hong Kong. Yet it remains underutilised. What has gone wrong and what needs to change? Greater awareness of the various quality mediation services available in Hong Kong (of which there are many) is required, partnered with improved awareness amongst users and advisors of the benefits of mediation and how best to deploy it. It is not for want of government or institutional backing that mediation remains underutilised and we will see more steps by the government and institutions to advance mediation in 2017. The day is highly interactive, adopting a format that has been described as the blueprint for future conferences. The voting app allows delegates to contribute their views frankly and anonymously and hear and see the results debated in real time by experts. Delegates will hear first-hand what their peers and competitors are doing: how they save money, time and maintain relationships and service clients using appropriate dispute resolution tools. Finally, the project will ultimately contribute to enhancing the culture and methods of resolving conflict. To register and for more information including the full programme, visit http://hongkong2017.globalpoundconference.org/. Global Pound Conference Hong Kong is a timely opportunity for all stakeholders (users, lawyers, advisors, experts, judges, arbitrators, mediators, academics, government bodies and dispute resolution institutions) to reflect on what is working and what needs to change. With third-party funding of arbitration and the promotion of mediation (including through apology legislation) high on the Hong Kong legislature’s agenda, the time is ripe for a conversation that covers all dispute resolution processes and provides a clear framework for quantitative and qualitative outputs. At the provider level, the Financial Dispute Resolution Centre’s recent consultation to expand its mediation offering to more consumers in the context of banking disputes, shows that there is appetite to make mediation more accessible. It is clear that parties defer in large part to their external lawyers when it comes to considering mediation, when and how to deploy it, and who to appoint as a mediator. This places considerable responsibility on the legal advisor as a stakeholder to mediation success. As such, lawyers should attend Global Pound Conference Hong Kong to hear the views of their clients and peers, and share their own approaches to resolving conflict. * A survey undertaken by Herbert Smith Freehills in Hong Kong in 2015 highlighted this gap, reinforcing research spearheaded by Herbert Smith Freehills in London in 2014. Herbert Smith Freehills’ earlier article summarising their mediation survey 2015 can be found here: http://www.hk-lawyer.org/content/client-perspectives-mediation-hong-kong-five-years. 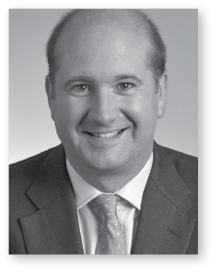 Mr. Copeman has over 20 years of dispute resolution experience in England, Hong Kong and elsewhere in all forms of international dispute resolution, particularly in major commercial disputes involving corporate and shareholder disputes, banking and financial matters, cross-border fraud litigation and technology disputes. Ms. Phillips supports the firm’s leading Alternative Dispute Resolution and Corporate Crime & Investigations practices and has developed a significant market profile for her work on legal support, cross-practice and cross-region projects for these practices.